For the lifting of footwear impressions (made with dust or dirt) no material is better suited than black gelatin lifters, due to its low tack. Whereas synthetic materials with a high tack tend to lock in air bubbles upon application, a black gelatin lifter easily lifts a complete print without disturbing the surface on which the print is found. 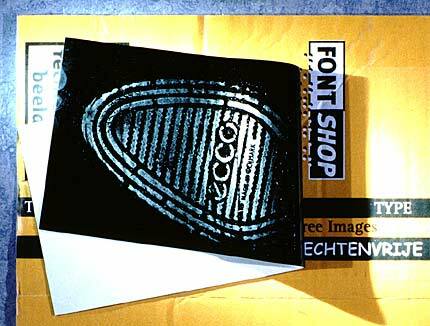 Furthermore, the high-gloss black gelatin layer absorbs light so strongly that it can be over-exposed many times. When a black object, next to the lifter, shows up white on a photograph, the lifter is still dark gray. Its light absorption enables photographing of even very faint impressions. In the following page there is more information on the use gellifters for shoeprint lifting. Additionally, there is more info on the use of smaller sized gellifters in fingerprint lifting here. For prices and ordering (all gellifters) see this page.